We’ve organised a summer festival!!!
. . . And it’s because of you. You may remember we conducted a survey last year. One of the questions was ‘What sort of events would you like to see being held in the park?’ Your responses made it clear that a local, fun summer fete would be the most popular, so here it is. We would love to see you there. 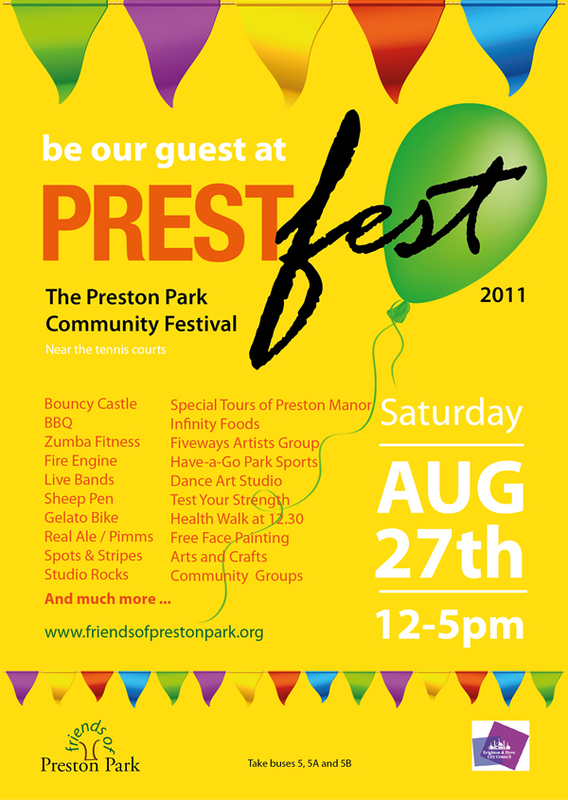 Go to our PrestFest page to see a full list of what will be happening on the day. Well done to all the Friends of Preston Park who worked so hard to make this event the great success that it was.